I’ve said before that I’m a big fan of the Porsche 911. My appreciation for the car comes from long (long) ago when the price of a 911 was similar to that of a Ferrari 308. But while the Ferrari was a garage queen, the 911 was the everyday sports car. Despite my love for the 911 starting in the 80's, my model collection never really reflected that. Not counting my 934/935 race cars, all of my 911s were of the 993,996, and 997 generations with the sole exception of Maisto’s ‘89(?) 911 Speedster. Then Section38 posted his article comparing the Norev 930 Turbo with AUTOart’s Carrera 3.2. I had been eyeing the Norev as well as Welly’s 964 Turbo, but the Aa for some reason wasn’t on my radar. Until I saw that post, that is. 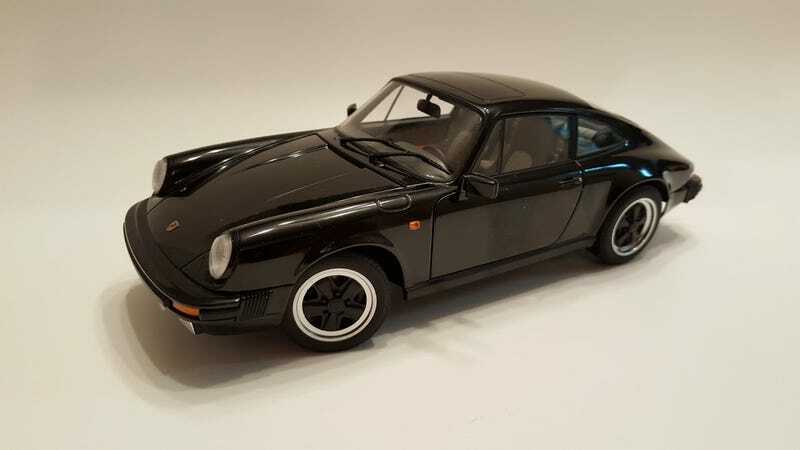 And without much of a second thought, the Aa 911, a model that wasn’t even on my never-ending wishlist, was bought. All due to that one post. And why is it $200 for a $120-ish model? Well I had to take advantage of the discounted shipping on additional models, so I also bought Norev’s Mercedes E500 Coupe. And with that, my E-class lineup is complete. Hopefully I can get some better pictures up soon, but in the meantime, I’ll be waiting on that check in the mail.